or to talk directly to previous customers. Web of Ideas built this website to the clients design. 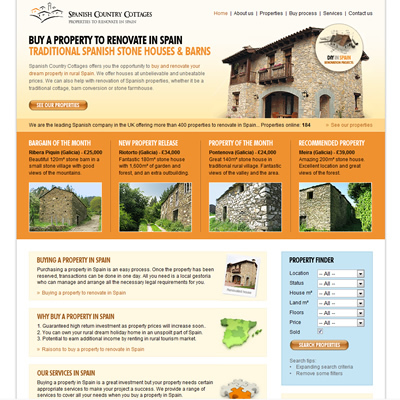 The website sells properties in northern Spain that are in need of renovation. 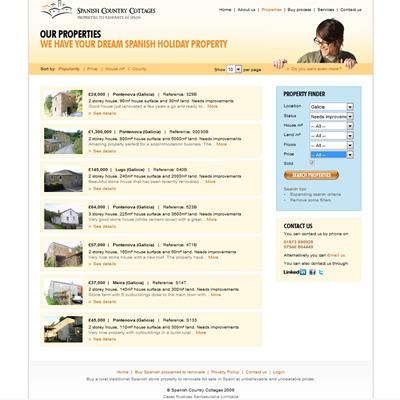 The site is content managed, with a simple administration section to add and update properties. 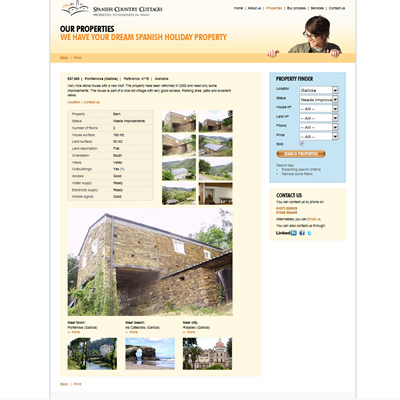 It is fully optimised for search engines.